Enter this restaurant via a series of raised walkways that literally take you into the tree tops. 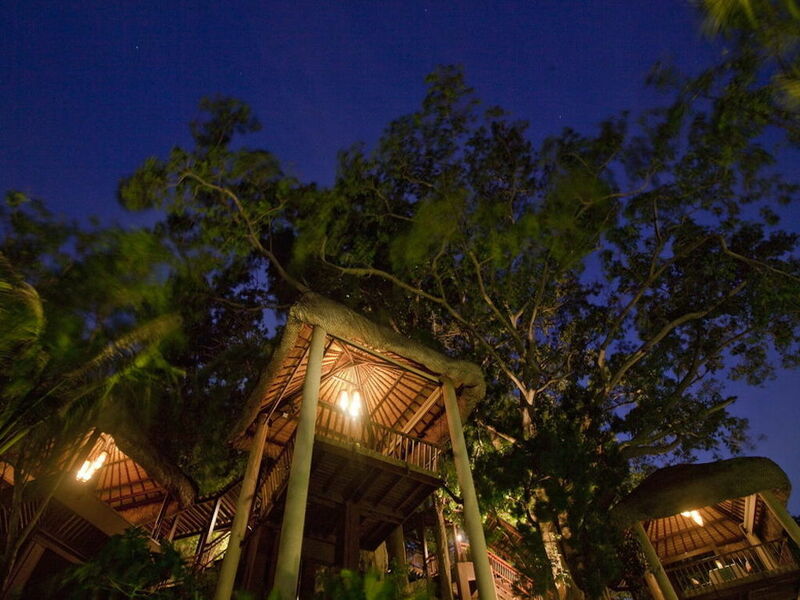 Private dining in individual open-air tree houses with views of the ocean and the Thai jungle. Matt Mittnacht, who counts London's Nobu on his resume along with other fine eateries, is the resident chef. Many of the dishes are grilled on lava stone and there is even a 'Salt Tray', which can be explained to you by the resident 'Salt Guru. Menu Highlights: Crunchy Fried Prawns with carrot, chilli and a lemongrass air, Lamb Rack grilled on the bones in Arabic spices with a truffle cous cous, Brule - mango, coconut and meringue. Go here for: Romance, spectacular views, unique dining experience. 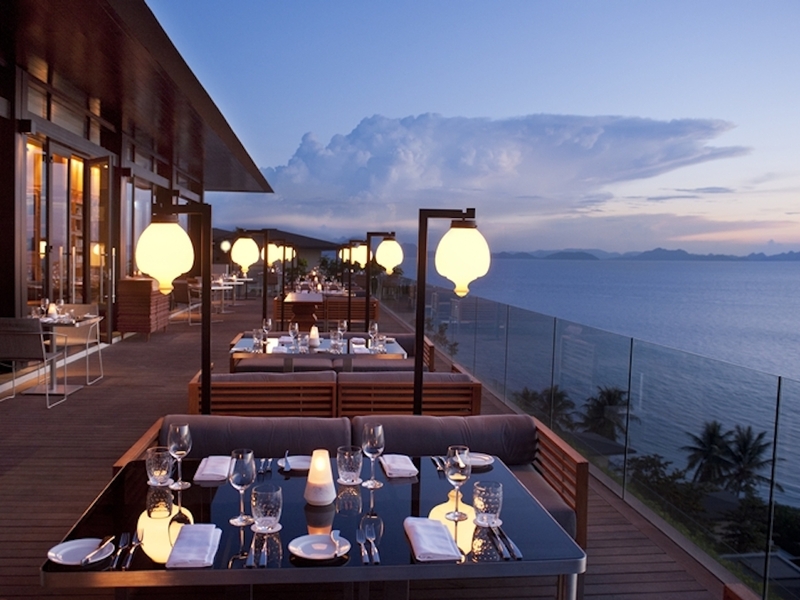 A contemporary Japanese restaurant located within the hip W Retreat hotel at Maenam, Koh Samui. An innovative menu incorporating influences across Asia but mainly Japan. You can even get insider access to preparing sushi in a class with Namu's chef or dine under the stars beachside if you pre-book. Menu Highlights: Sashimi with wasabi and soy, Maine Lobster stir fried udon noodles and chilli, Green Tea Tiramisu and Yuzu ice cream. Saki matched to your menu. 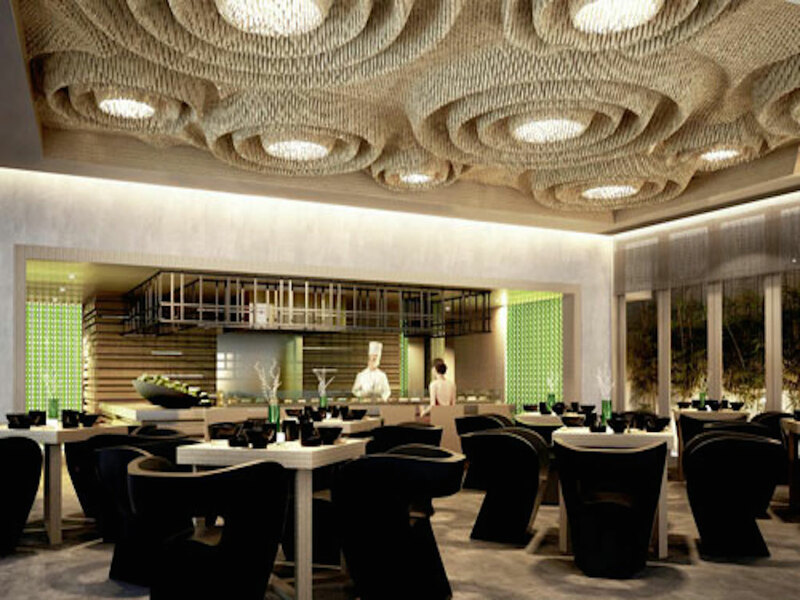 Go here for: Romance, shared table concept, contemporary dining. 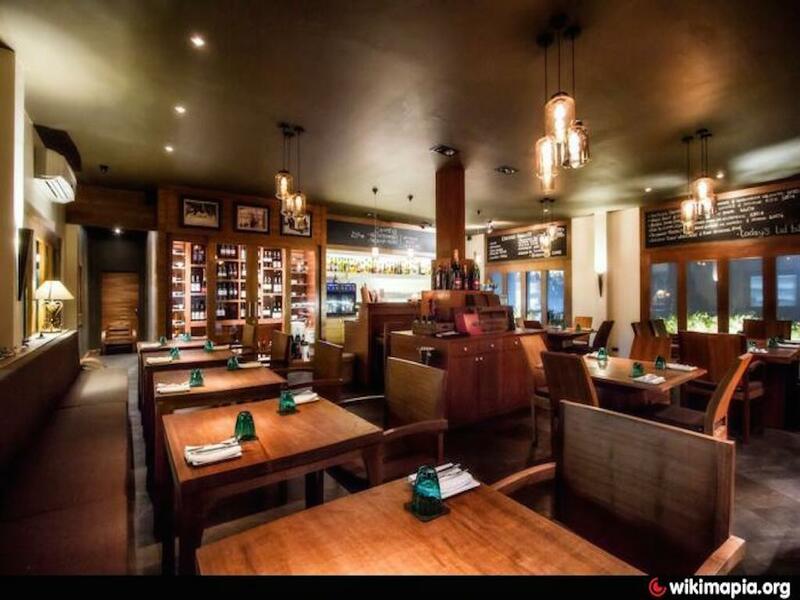 This is an opulent restaurant serving traditional Thai with a modern, contemporary twist. The resident chef is Konrad Inghelram, who has previously worked in Michelin starred restaurants. There is a fabulous element of 'table theatre' to proceedings such as the 'Tom Yum Goong soup' poured from a teapot. Go here for: Stunning views and sunsets, table 'theatre'. Poppies has been popular for a long time in Koh Samui. It's situated at the quieter end of Chaweng beach and has an international and Thai menu with a huge selection to choose from -- something for all tastes. 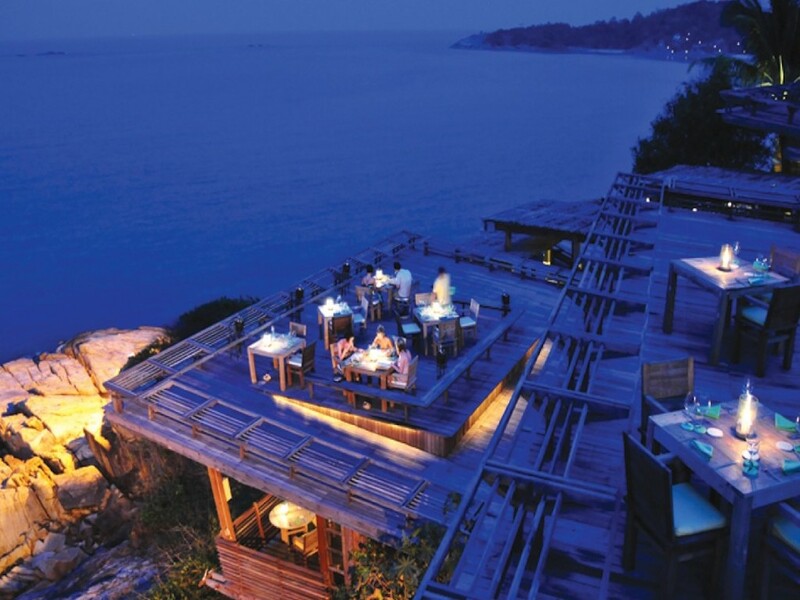 A popular venue for dining on the beach under the stars. 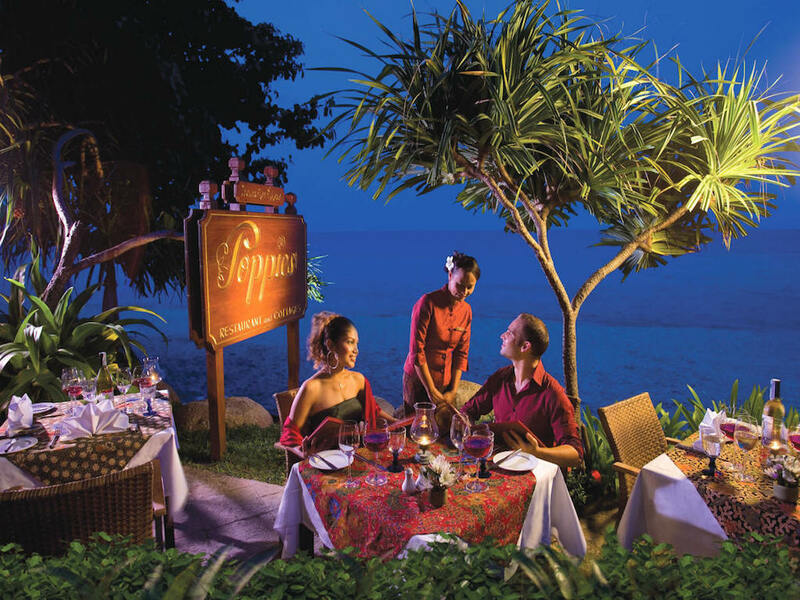 Go here for: Beachside dining, romance, extensive menu choices. 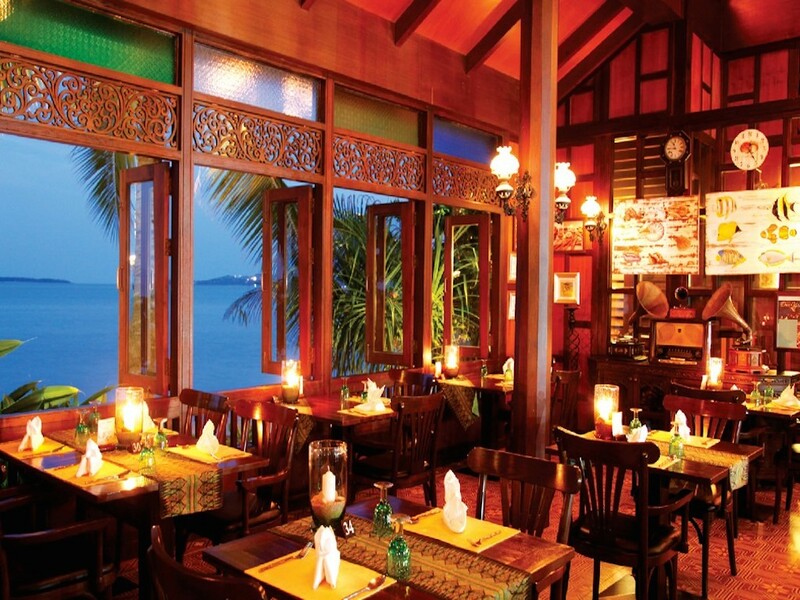 This beautiful hand-carved classic Thai house serving traditional southern-Thai cuisine is located in the Fisherman’s Village, right on Bophut beach. The wonderful aromatic dishes and fantastic fresh seafood are all reasonably priced and perfectly delivered. 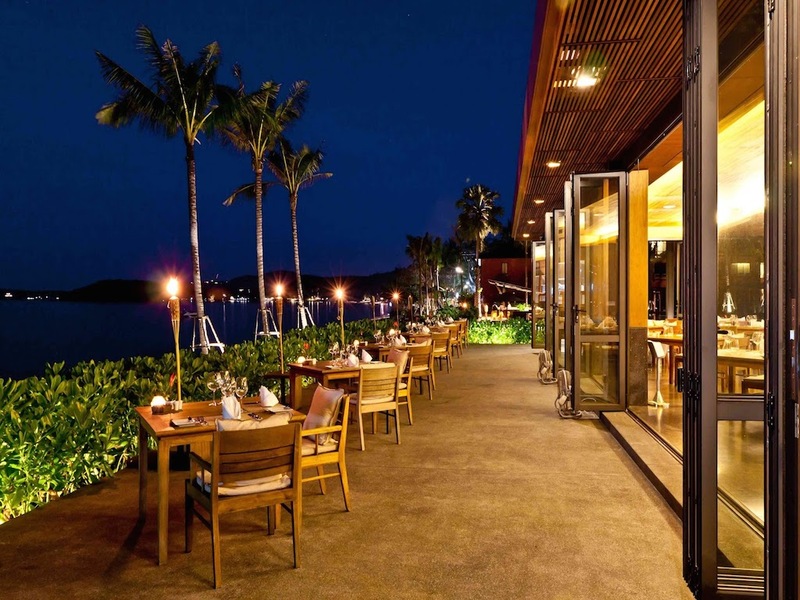 A great open air cocktail bar is located nearby for pre-dinner drinks and a stroll through Fisherman's village afterwards makes the perfect evening. Experienced Belgian chef Jean-Francois was previously at many fine restaurants including the 7 star Burj Al Arab hotel in Dubai and The Viceroy in Bali. 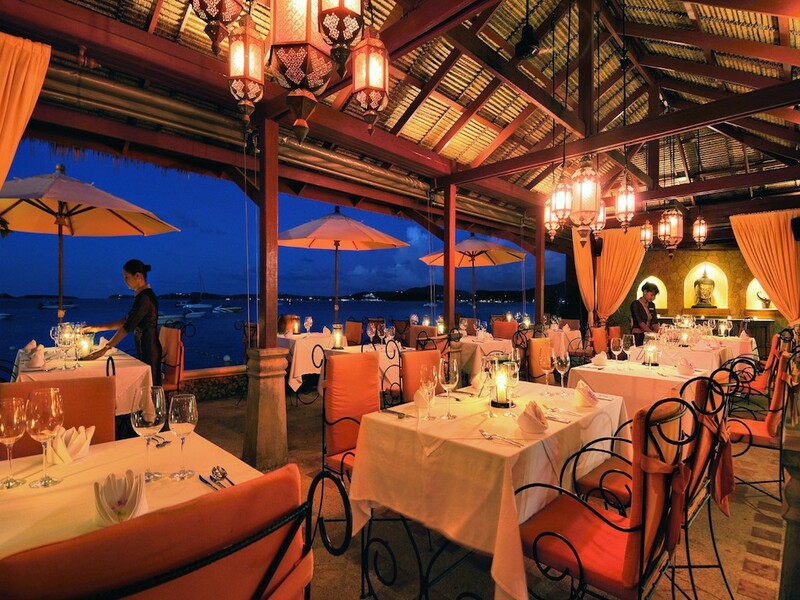 The team have created a menu using the best local and imported ingredients on the island. Go here for: Intimate setting, traditional Thai dancing. 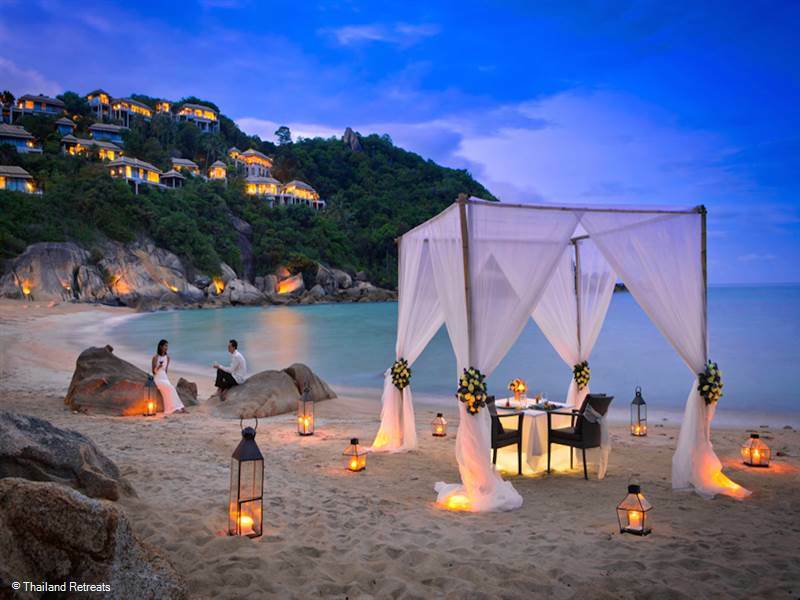 Located on the exclusive resort of Six Senses, Koh Samui. Contemporary dining, with spectacular views from the outdoor dining 'platforms'. Dishes use organic ingredients from the resorts own gardens. This bistro features an authentic French Mediterranean menu. Chef Stephen Jean Dion has previously cooked for Royalty including Prince Charles and the Sultan of Brunei. The Larder is a unique restaurant come bar, created to offer fine dining without the fuss. A laid-back atmosphere and a menu that recreates British and International classics. The creation of executive chef Martin Selby and food and beverage Aficionado Damian Ahern. Menu Highlights: Ducky Fuzz -- Duck breast & liver pate, red onion and balsamic jam with French bread. Bellyfull -- 12 hour confit belly pork, roasted carrots, bread sauce and parsnip puree. Peanut butter martini -- peanut butter cup vodka, milk, chocolate. If you stay in a Koh Samui luxury villa booked through Thailand Retreats you will quite often get the opportunity to use the services of an in-house chef.